The Winding Transformer Ohmmeter is a line-operated, field-portable instrument designed specifically to measure the dc resistance of all types of magnetic windings safely and accurately. It can test transformers and rotating machine windings and perform low-current resistance measurements on connections, contacts and control circuits. 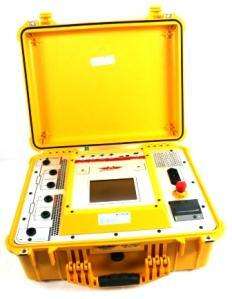 Check our full range of Transformer Testers!